Over the past year and a half, auto industry recalls have been garnering a lot of attention. From GM’s ignition switch defect to faulty gas tanks, there have been a number of issues and dangerous defects to threaten the safety of everyone on public roads and highways. According to the National Highway Traffic Safety Administration (NHTSA), these dangerous products contributed to a record-setting year of 56 million recalled vehicles in 2014. In the latest round of recalls to gain national attention, Japanese auto parts manufacturer Takata Corporation expanded its recall of U.S. cars and trucks fitted with defective airbags last month. Here are a few key points about the recall and what consumers can do to keep themselves safe. After a lengthy battle with federal regulators, Takata finally admitted that its airbags contained a dangerous defect in May and that it would be expanding its nationwide recall to nearly 34 million U.S. vehicles. The defect in question involves airbags that can potentially rupture and explode during deployment. When this happens, shrapnel and fragments can shoot out at vehicle occupants. 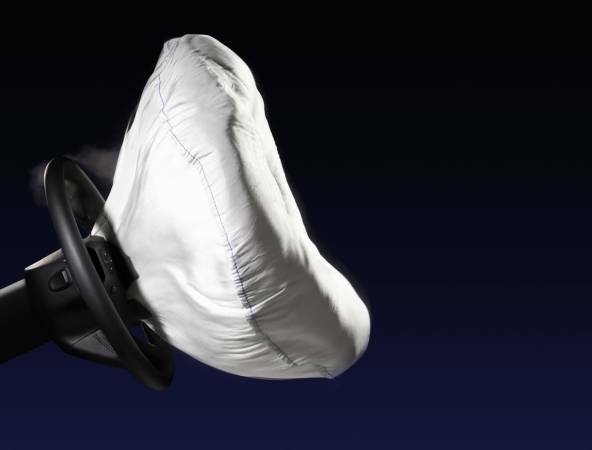 Several deaths and a number of injuries have been associated with the faulty Takata airbags. Affected vehicles include a number of U.S. cars and trucks from various automakers, including Honda, Toyota, BMW, Chrysler, General Motors, and more. Vehicle owners should act as soon as possible after receiving recall notices and take their cars in for service. If you are unsure as to whether your vehicle contains a defect, you can call your local dealer or visit safecar.gov to search by VIN for outstanding recalls. At Shook & Stone, our product liability lawyers have worked with many victims and families who suffered damages as a result of dangerous and defective products. We would like to remind everyone about the importance of taking recalls seriously and that victims harmed by unsafe products have the right to pursue compensation for their losses. If you believe you or someone you love has been injured as a result of defective airbags or another defective product, our attorneys are available to review your case free of charge. Contact us today to request a free consultation.